Unreal Lawns supply and install artificial grass in Swinton and the north west of England. We serve domestic and commercial customers in the area, with products suitable for a wide range of applications from outdoor spaces and gardens, to event areas, exhibition space and more. See below for some examples of projects we've carried out in the Swinton area. 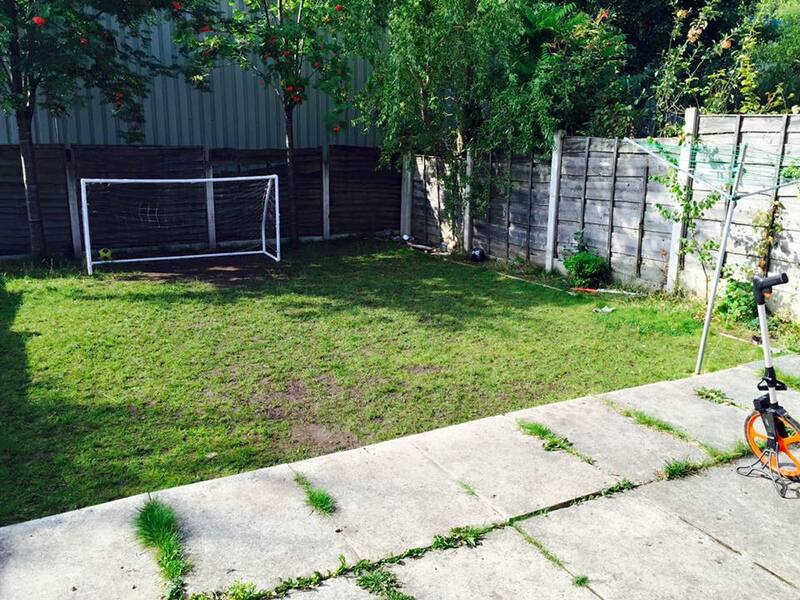 A family in Swinton, Manchester asked us to come and save their back garden from the abuse it was receiving from the children’s football playing. The children absolutely loved the existing lawn, but as you can see from the photos it couldn’t take any more wear and tear. We installed our Luxury 35mm artificial grass, to provide the perfect solution. The lawn can now be used as much as the children like, without the parents worrying about it becoming patchy and worn out. The space will look neat and green all year round.